The switch to all-digital television is almost here. Really, it happens this Friday, June 12, 2009. It was suppose to happen back in Februray but Obama and Congress delayed the transition a few months back. It’s probably for the best though. The extra time hopefully means that more folks are ready. We’ve compiled a list of tips and tricks that will help ensure you’re getting the most out of DTV. Feel free to leave some of your own in the comment section below. The government is handing out $40 vouchers for DTV converter boxes, which in turn created a market for $40 DTV converter boxes. These boxes were created under strict regulation so most of them should work just fine. But don’t buy ’em. 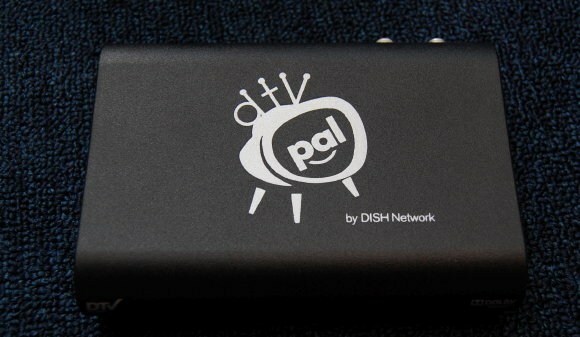 Spend a few dollars extra to get a more feature-filled converter box. Be warned though, you can’t use your voucher on some of these. 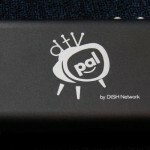 The DTVpal by Dish Network (our review) is a great example of a higher-quality DTV converter box. It has more video outputs and a quality remote. For example, it has a component video output that isn’t found on standard DTV converter boxes. It can’t output HDTV resolution, but component will give you a better picture and only costs $69.99. It’s worth the extra cash to get the better quality picture component provides even on an older tube TV. 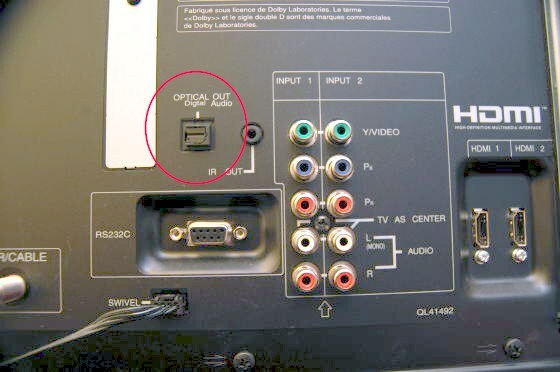 Even if you opted to go with a standard DTV box, please don’t use the coax output. It’s crap compared to the composite outputs. You know, the red/white/yellow cables. These cables use three separate connections to split the audio into two streams and the video into one. 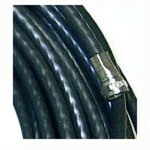 You will be amazed at the picture quality difference over coax. Component is even better though with three cables dedicated to video and two to the audio. Did you know that most TVs that have a DTV tuner (ATSC) can also output digital audio over Toslink? Yeah, so can a lot of premium DTV converter boxes. Use it if you have a surround sound system. Even if you aren’t getting HDTV, but rather standard digital television off of a DTV converter box, you might as well get premium audio. Don’t be afraid to mount a large aerial antenna on your house. All the cool nerds are doing it. They provide better reception which could mean more stations. The large rooftop antennas do cost some cash, but they are an investment into your TV viewing pleasure. Also, don’t forget to hook up a rotor to get those hard to reach stations. Note: You may want to try a cheap, Radio Shack indoor antenna before dropping the cash and time into a large antenna. Through the magic of DTV, it might work fine. That old antenna that came with your house will probably work fine for DTV. It might have been installed during the Nixon administration, but antennas seem to hold up fine. The coax cable is a different story though. It’s probably a good idea to swap out the old cable with new RG-6 outdoor cable. It will cost you a few bucks at a home center for the cable and tools to install the ends, but it could possible produce a more reliable signal. That is, of course, if you’re having issues pulling in stations. If it’s not broke, don’t mess with it. 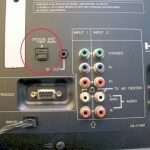 Depending on your HDTV, you might be able to use both basic cable and an antenna to pull in DTV seamlessly. Your HDTV would have to have two coax inputs for this to work. One, tunes the basic cable while the other pulls in stations over the air. In fact, many TVs that have dual inputs can also map the stations to the same input meaning, you wouldn’t have to switch inputs to watch either cable or free OTA digital TV. Or you could get a TiVo HD which can do it too. This is a great solution for those folks that happen to have an HDTV, don’t want to pay for cable high-def, and happen to get basic cable for free somehow. The DVR does have an up-front cost and a monthly subscription, but it’s a fraction of what some cable companies charge. Just plug in an antenna and you’ll get glorious high definition for free along with your basic cable all on one guide. It’s great. I do it. Ok, so you have a rooftop antenna and your fancy surge projector has coax jacks. You might be tempted to route your antenna wire through those jacks to prevent damage from a lightning strike. However, a $500 Monster Cable Power Center will not protect anything if lightning hits your outdoor antenna. Those jacks are meant for homes with wiring issues and can solve grounding problems, but cause interference with OTA signals. Just don’t do use ’em with an antenna. 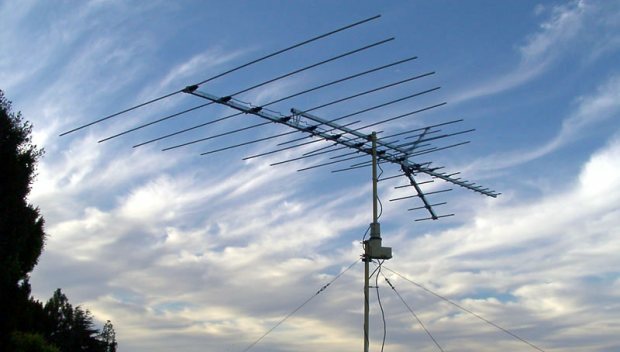 If you have a rooftop antenna, use this site created by the FCC to aim your antenna correctly. However you may find with indoor antennas that trial and error is the best way to tune in stations. Some people hate having multiple remotes and chances are that the cheap remote that came with the DTV cannot control the television. No matter, head down to your local Best Buy or Radio Shack and tell ’em you want a universal remote control. This way you’ll have one remote to control both the TV and DTV converter box. Hint: If you buy a universal remote from the same company that makes your TV, you’ll probably not have to program it to control the television, just the DTV box. So, buy a Sony universal remote if you have a Sony TV. The FCC is telling folks to rescan their DTV tuners on June 12 saying that some stations might change their signal location on that date. No matter if this is true or not, it only takes a few minutes and is probably a good idea to ensure you don’t lose any stations.